Kyle Kendrick wins his tenth start in what could be his last game as a Phil, as the Phils defeat the Marlins, 2-1. Kyle Kendrick wins what may well be his last game as a Phil, as the Phils hang on to beat the Marlins, 2-1. The Phils took the lead in the top of the seventh as, with a runner on first, and with two men out, Kyle Kendrick help his own cause as he breaks up a 0-0 tie with an RBI double, scoring Darin Ruf, who had started the inning off with a walk, giving the Phils a 1-0 lead. The Marlins would tie the game up at one-all in their half of the seventh as, with a runner on second, and with one man out, Enrique Hernandez hits an RBI double, knocking in Garrett Jones, who had started the inning off with a double. The Phils retook the lead in the top of the eighth as, with two men on, and with one man out, Marlon Byrd hits an RBI single, knocking in Maikel Franco, who had started the inning off with a single, then moved up to second base on Chase Utley’s ground out, 4-3, giving the Phils a 2-1 lead, while sending up to second base Ryan Howard, who had just walked. That would end up being the final score as Jonathan Papelbon recorded his thirty-eighth save of the season as he pitched a scoreless ninth. Kyle Kendrick (10-13, 4.61) got the win as he pitched seven innings, giving up a run on six hits and a walk, while striking out two. Ken Giles recorded his twelfth hold of the year as he pitched a 1-2-3 inning. Jonathan Papelbon received his thirty-eighth save of the season by pitching a scoreless inning, giving up a hit while striking out a batter. Brad Hand received a no-decision as he pitched seven innings, giving up a run on six hits and three walks, while striking out a batter. Chris Hatcher (0-3, 3.27) took the lost as he went a third of an inning, giving up a run on two hits and a walk. A.J. Ramos pitched two-thirds of an inning, walking a batter. Carter Capps pitched a scoreless inning, giving up a hit. The Phils recorded nine hits in the game, with Kyle Kendrick (2 Singles, Double, RBI) leading the team, followed by Maikel Franco (Singles) and Marlon Byrd (Singles, RBI) with two hits each. Darin Ruf (Double) and Carlos Ruiz (Single) had the other two Phils’ hits. The Phils also had five walks (Ben Revere, Chase Utley, Ryan Howard, Ruf, pinch hitter Dom Brown) in the game, while the defense performed a double play. The Phils (72-86, 5th) will conclude their series with the Marlins (75-82, 4th) in a game already in progress. The Phils win their third game in a row as they hold on to defeat the Marlins, defeating the fish, 6-5. The Phils hang on to win their third straight game, as they defeat the always pesky Marlins, 6-5. The Phils took the lead in the top of the first as, with two men on, and with one man out, Ryan Howard hits an RBI double, knocking in Jimmy Rollins, who had started the game off with a single, then stole second base, giving the Phils a 1-0 lead, and sending Chase Utley, who has just walked, up to third base. The Phils then took a 2-0 lead as Marlon Byrd hits an RBI ground out, 6-3, knocking in Utley. The Marlins got a run back in their half of the first as, with two men on, and with one man out, Casey McGehee hits an RBI single, scoring Derek Dietrich, who had earlier been hit by a pitch, then stopped at second base on Giancarlo Stanton’s walk, making it a 2-1 Phils’ lead, and sending Stanton, who had just walked, up to second base. The Marlins then made it two-all three batters later as, with the bases loaded, thanks to Garrett Jones’ single, moving up both runners, and now with two men out, Marcell Ozuna forced in a run with a walk, scoring Stanton, as McGehee and Jones both moved up a base. The Marlins took the lead in the bottom of the third as, with one man on, and with one man out, Jones hits an RBI double, knocking in Stanton, who had started the inning off with a walk, giving the Marlins a 3-2 lead, before moving up to third base on the late throw to the plate. The Phils retook the lead in the top of the fifth as, with one man on, and with one man out, Rollins hits a two-run home run, his sixth home run of the year, knocking in A.J. Burnett, who had just doubled, giving the Phils a 4-3 lead. The Phils increased their lead in the top of the sixth as, with the bases loaded, via a double by Byrd, a walk to Cody Asche, a wild pitch by pitcher Brad Hand moving both runners up a base, and an intentional walk to Tony Gwynn, Jr., and with two-men out, pinch-hitter John Mayberry, Jr. hits a two-run single, knocking in Byrd and Asche, giving the Phils a 6-3 lead, and sending Gwynn up to third base. The Marlins get a run back in the bottom of the eighth as, with runners on second and third, and with one man out, after Asche had committed a foul pop error in foul territory, Jarrod Saltalamacchia hits an RBI single, scoring McGehee, who had earlier walked, then stopped at third base on Jones’ double, making it a 6-4 Phils’ lead. The Marlins then made it a 6-5 Phils’ lead in the bottom of the ninth as, with two men on, and with two men out, Jones hits an RBI single, knocking in Stanton, who had earlier been safe at first on a force out, 5-4, as Dietrich, who has been safe at first on an even earlier force out, 6-4, as Christian Yelich, who had started the inning off with a walk, is wiped out at second base for the inning’s first out, is forced out at second base for the inning’s second out, then moved up to second base on defensive indifference, while sending McGehee, who had just walked, up to third base. But that would end up being the final score as Jonathan Papelbon collected his twelfth save of the season by getting Saltalamacchia to fly out to center field for the game’s final out. A.J. Burnett (3-3, 3.32) gets the win as he went five innings, giving up three runs on three hits, four walks and a hit batter, while striking out five. Jake Diekman collected his five hold of the year as he threw two scoreless innings, giving up a walk, while striking out three. Mike Adams also collected his fifth hold of the season as he pitched an inning, giving up a run on two hits and a walk, while striking out one. Jonathan Papelbon received his twelfth save of the season by pitching an inning, giving up a run on a hit and two walks. Anthony De Sclafini (1-1, 5.56) took the lost as he pitched five and one-third innings, giving up five runs on six hits and a walk, while striking out two. Brad Hand pitched two-thirds of an inning, giving up a run on a hit, three walks and a wild pitch, while striking out one. Randy Wolf and A.J. Ramos combined for three scoreless innings, giving up a hit (Ramos) and three walks (Wolf (1), Ramos (2)) between them, while striking out four (two batters each). 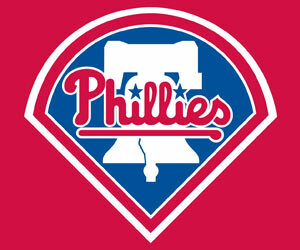 The Phils had eight hits in the game, with Jimmy Rollins (Single, Home Run, 2 RBIs) leading the team with two hits. Chase Utley (Double), Ryan Howard (Double, RBI), Marlon Byrd (Double, RBI), Dom Brown (Single), A.J. Burnett (Double) and pinch-hitter John Mayberry, Jr. (Single, 2 RBIs), had the other six Phils’ hits. The Phils also had seven walks (Rollins, Carlos Ruiz, Utley, Howard, Cody Asche (2), Tony Gwynn, Jr.) and two stolen bases (Rollins (6), Gwynn (1)) in the game, while the defense committed an error (Asche). The Phils (20-22, 4th) continue their series with the Marlins (23-23, 3rd) with a night game tonight. The game will be played at Marlins Park and is to start at 7:10 pm EST. The Phils will send to the mound Kyle Kendrick (0-4, 3.96), who is coming off a lost against the Reds on May 16, as he pitched seven innings, giving up three runs on four hits and a walk, while striking out five, in the Phils 3-0 lost to the Reds. He is still looking for his first win since 2013, while hoping that the Phils’ offense will finally help him out. The Marlins will counter with Nathan Eovaldi (2-2, 3.62), who is coming off a lost to the Giants on May 15, as he went four and a third innings, giving up six runs on nine hits and two walks, while striking out two, in the Marlins’ 6-4 lost. He will be trying to even the series. The Phils will be trying for their fourth straight win and their second straight series win, while trying to give Kendrick his first win as a starter since last season. The Phils’ offense give Cole Hamels his third win of the season as they defeat the NL Central leading Pirates, 6-4. The Pirates took the lead in the bottom of the third as, with runners on second and third, and with two men out, Andrew McCutchen hits a two-run single, knocking in Starling Marte, who had earlier singled, reached second base on Jose Tabata infield single, before reaching third on second baseman Chase Utley’s missed catch error, and Tabata, who had just singled, then moved up to second base on Utley’s error, giving the Pirates a 2-0 lead. The Phils cut the Pirates’ lead in half in the top of the fifth as, with a runner on second, and with two men out, Ben Revere hits an RBI single, knocking in Carlos Ruiz, who had earlier singled, then moved up to second base on Cole Hamels’ sacrifice bunt, 1-4, making it a 2-1 Pirates’ lead, before he moved up to third base on center fielder McCurchen’s throwing error to the plate. The Phils then tied the game up at two-all in the top of the sixth as, with the bases loaded, via a walk by Ryan Howard, a single by Dom Brown, with Howard stopping at second base, and a single by Delmon Young, with both Howard and Brown moving up a base, and with one man out, Kevin Frandsen hits an RBI single, knocking in Howard, and moving both Brown and D. Young up a base, leaving the bases loaded. The Phils then took the lead as Ruiz hits a two-run single, knocking in Brown and D. Young, giving the Phils a 4-2 lead, while sending Frandsen up to third base. The Phils then made it a 5-2 lead two batters later, after reloading the bases as Hamels is hit by the pitch, moving Ruiz up to second base, as Revere hits into an RBI force out, 6-unassisted, as Frandsen scores while Ruiz is tagged out by shortstop Clint Barmes, for the inning’s second out, while Hamels reaches second base, and Revere is safe at first. The Phils added to their lead in the top of the eighth as, with runners on second and third, and with one man out, pinch-hitter Michael Young hits a sacrifice fly, knocking in D. Young, who had started the inning off with a single, moved up to second base as Frandsen is hit by a pitch, then moved up to third on Ruiz’s sacrifice bunt, 2-3, giving the Phils a 6-2 lead. The Pirates got a run back in the bottom of the eighth as, with two men on, and with nobody out, pinch-hitter Garrett Jones hits an RBI single, knocking in Jordy Mercer, who had started the inning off with a single, then moved up to second base on Marte’s single, making it a 6-3 Phils’ lead, while sending Marte, who had just singled, on to third base. The Pirates then made it a 6-4 Phils’ lead as McCutchen hits into a 5-4-3 double play, wiping out Jones at second base for the inning’s second out, as Marte scored. That would end up being the final score as Jonathan Papelbon collected his seventeenth save of the season as he threw a scoreless ninth. Cole Hamel (3-11, 4.38) got the win as he pitched seven strong innings, giving up two runs, only one of which was earned, on five hits, as he struck out eight. Justin De Fratus pitched an inning, giving up two runs on three hits. Jonathan Papelbon collected his seventeenth save of the year as he pitched a scoreless inning, giving up a hit, while striking out a batter. Gerrit Cole (4-1, 3.94) took the lost as he went five and a third innings, giving up three runs on eight hits and a walk, while striking out five. Vin Mazzaro committed his second blown save of the season as he faced four batters, getting none of them out, as he gave up two runs on three hits and a hit batter. Tony Watson pitched one and two-thirds innings, giving up a hit, while striking out a batter. Ryan Reid pitched two innings, giving up a run on two hits, a hit batter and a walk, striking out one. The Phils had fourteen hits in the game, with Ben Revere (2 RBIs) leading the team with three hits, all singles, as he raised his batting average to .290, followed by Chase Utley (Double, Triple .382), Jimmy Rollins (Singles), Delmon Young (Singles, .273) and Carlos Ruiz (Singles, 2 RBIs, .278) with two hits each. Ryan Howard (Single), Dom Brown (Single) and Kevin Frandsen (Single, RBI, .286) had the other three Phils’ hits. Pinch-hitter Michael Young knocked in the final Phil run with a sacrifice fly. The Phils also had two walks (Howard, Brown), two hit batters (Cole Hamels, Ruiz), and two sacrifice bunts (Hamels, Ruiz) in the game. The Phils (41-45, 3rd) will start a three-game series with the Braves (49-36, 1st), starting with a ball game tonight. The game will be played at Citizens Bank Park and will start at 7:05 pm EDT. The Phils will send to the mound Cliff Lee (9-2, 2.59), who is coming off a no-decision against the Dodgers on June 29, as he pitched seven innings, giving up three runs on four hits and three walks, while striking out ten, in the Phils’ 4-3 lost. He will for the third straight start be trying for his tenth win. The Braves will counter with Paul Maholm (9-6, 3.69), who is coming off a win against the D-backs on June 30, as he threw six and two-thirds innings, giving up two runs on eight hits and two walks, while striking out three, in the Braves’ 6-2 win. He will also be going for his tenth win. The Phils will be trying to make up some ground against the Braves.